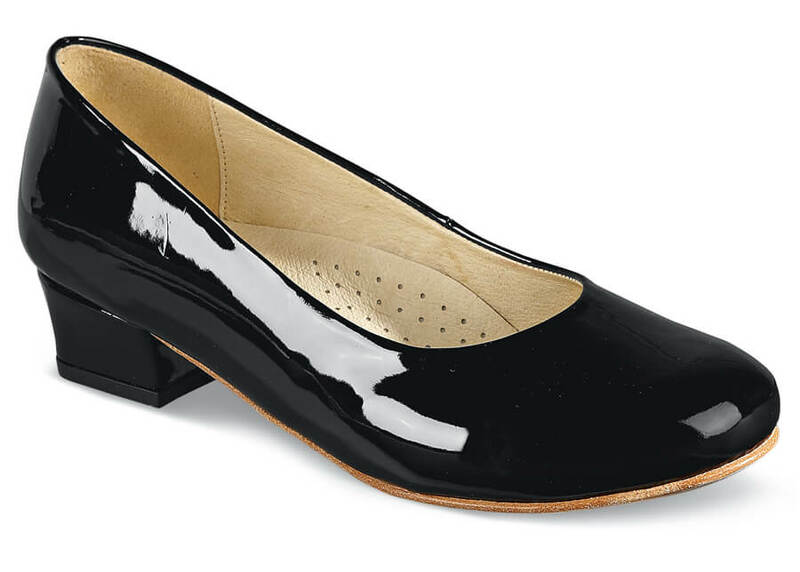 The black patent plain-toe pump belongs in every woman’s dress shoe collection. Hitchcock Wide Shoe Closet’s “Anna” with stabilizing 1¼” block heel is lovely to look at and so very comfortable to wear. 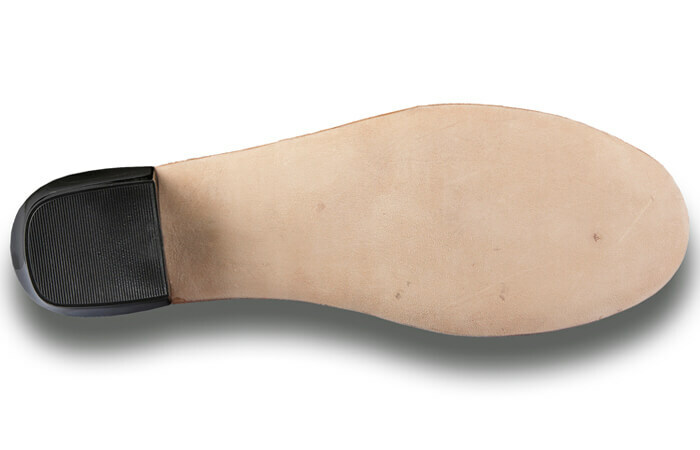 Lined with leather throughout, it has a full-length sock lining of foam-backed leather and a flexible sueded leather outsole. Women’s sizes 6–10, 11, 12 and 13 in 2E, 4E and also in 6E.